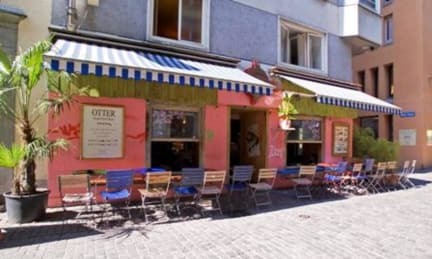 Oldtown Hostel Otter i Zurich, Schweiz: Bestill nå! New hostel in the heart of Zurich with a trendy café-bar where you meet locals as well as other travellers. The former Hotel Otter changed recently into a hostel right in the old town of Zurich. The hostel is above the Wueste, a trendy café-bar. The upper floors remain with the previous hotel standard, whereas the lower floors changed into dormitories. The private rooms keep the same services as at the former hotel times with the additional use of the common room with its kitchenette and lockers. If you are used to stay in dorms, you will appreciate the central location with the possibility to have a great night at the bar and meet many people – locals as well as other travellers. The tourist sights are all within walking distance from the hostel. The Lake of Zurich is just 200 meters away. Although the art museum and the opera house are only five minutes walking distance and the legendary Café Odeon is just around the corner. 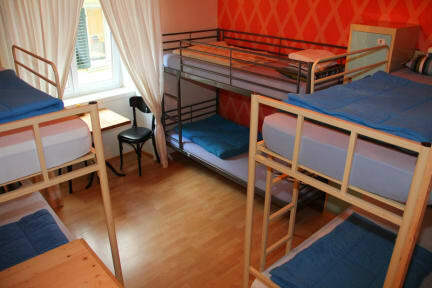 The hostel offers 45 beds at the Oberdorfstrasse that leads through upper part of the old town. It offers 7 dorms and 8 private rooms for moderate prices.